Street parking is offered free in front of the restaurant. There are also two municipal parking lots behind the restaurant that are available to for the public. Please contact us at info@provecho.com to receive information on catering. In Spanish and Latin cultures “Buen Provecho” was a way to wish good eating to family, friends, and neighbors. The ancient phrase means “may this food be good for your health and sit well with you.” It was a cultural way to convey the sincerity of our love through a meal. 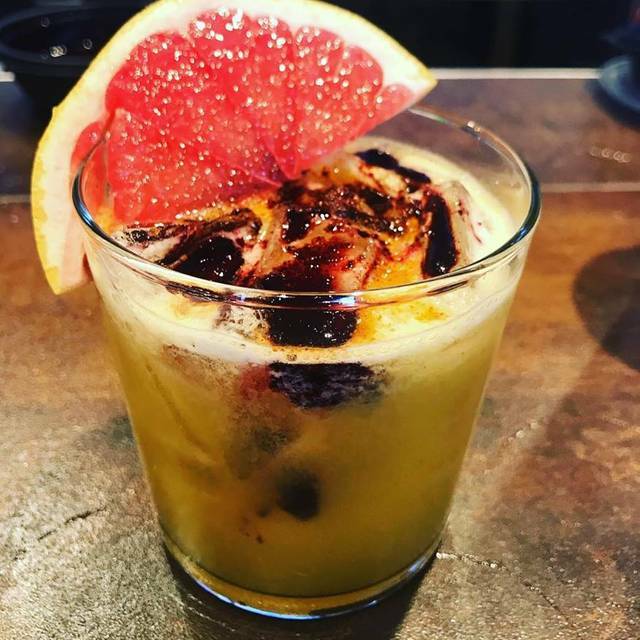 In that same spirit, Provecho brings a fine dining experience with a unique mixture of exquisite Latin American and Spanish culinary specialties, paired with expertly handcrafted drinks. 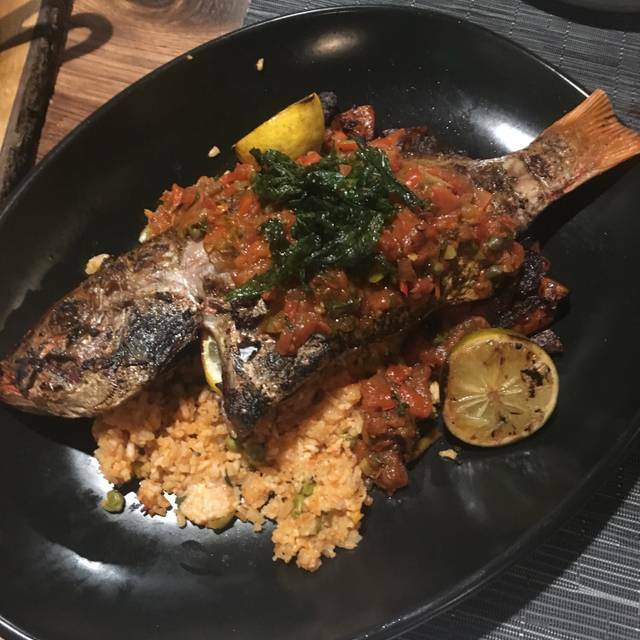 The food, service, and experience was excellent. We were seated promptly and overall we were very satisfied. SECOND TIME IN MONTH WE DINED AT PROVECHO. MAKE RESERVATION IF POSSIBLE, BUT WORTH ANY TIME WAITING. NOTHING LIKE IT IN THAT AREA. WAIT STAFF VERY KNOWLEDGEABLE AND FRIENDLY. NO COMPLAINTS ABOUT ANY FOOD WE ORDERED. WE TRAVEL INTO THAT AREA FOR BUSINESS AND FOUND BY ACCIDENT. CAN'T WAIT TO GO BACK NEXT MONTH!! The atmosphere is great to hang out and socialize, but the food and cocktail menus are somewhat basic and slightly uninspiring. Love it! Great atmosphere and amazing food and service! Good job nick and greg! Good night out but a bit pricey for portions received. We had a lovely evening. Food was amazing and our server Ashley was on point. Will definitely go back! I cannot believe that this restaurant has been 15 minutes from my house and I just now found out about it! As a Latina-Puertorican I was so impressed. We had the Ceviche - served with fresh tortilla chips. Then empandas, that were so on point. They redefined what an empanada is. We then had the chicken pot with lentels and arroz con gandules. Then added tostones as a side dish. 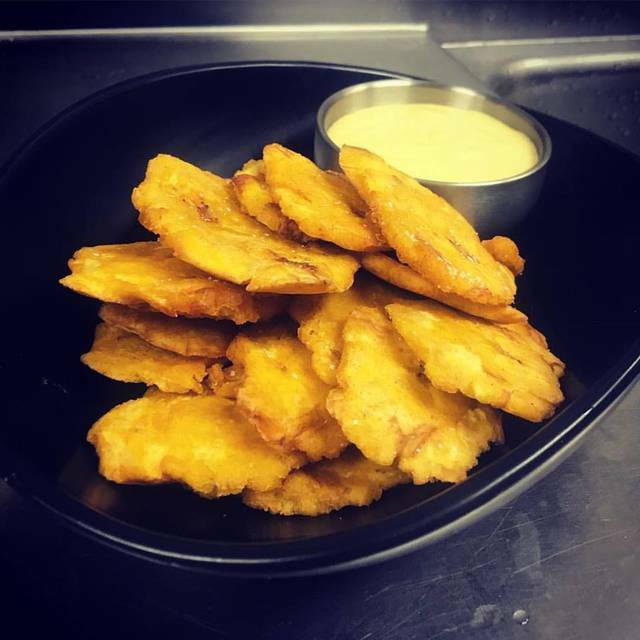 (The only critique I would give ont he tostones is that they were not all double friend as they are traditionally made). However, the homemade mayo that was served with the tostones was super yummy, so it all worked out. If you have not dined here, then you are missing out. Thank you Latin Provecho for adding elegance to our food. We appreciate you! Muchas gracias! I’ve been a few times. The food is hit or miss. Great concept and ambiance but the prices for what you get is better suited for downtown Chicago. 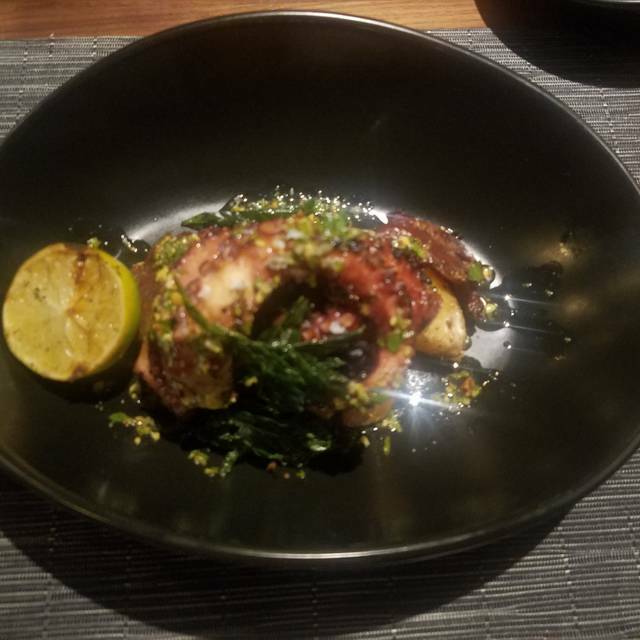 I was able to try the octopus and while it was cooked perfect it fell flat with seasoning and flavor, had they added a pinch of salt I would have taken the dish to where it should be. Ordered the truffle pork belly truffle special, I think it would have been a better presentation if they would have served the pork belly already sliced. It was rather tough to cut. Pablano grits are one of my favorite things they have. Love the empanadas! I’m sure I’ll be back. Our waitress was wonderful, we sat next to the window in the back facing the square. The only thing I can say that was uncomfortable was the cool air from that window. I loved the chairs, most chairs uncomfortable for me; very comfy ! Food was different, which I like to try. Wanted the Sea Bass but you were out. I would come back and try something different. Thanks for the experience. Garrick is the best server I’ve had in a long time!! Down to earth, professional, friendly, very knowledgeable, takes great ownership of his tables. I was so excited to find this restaurant in Crown Point. It stands out from everything else available in NWI by a long shot. Pricing is fair and menu is both interesting and executed well. Can’t wait to go back! Food was amazing and our server Brook did a great job explaining the menu and their cocktails. We were seated in the bar area so it was a little loud but not to bad. We will be back soon. A WONDERFUL ADDITION TO NW INDIANA. VERY DOWNTOWN CHICAGO-ESQUE. COOL VIBE WITH WONDERFUL SERVICE. GREAT COCKTAIL AND WINE MENU. Different and delicious Latin food! The mix of flavors and textures is almost like a religious experience! So good! The pork belly tacos and sweet plantans are AMAZING! Drinks were fantastic and food presentation always stunning! Garrett was a fantastic server. Bar area can be a bit lively, so definitely sit away from that area if you are wanting a more intimate feel. The variety of food choices was welcomed and seemed to be in line with adequate pricing. Our service was impeccable. 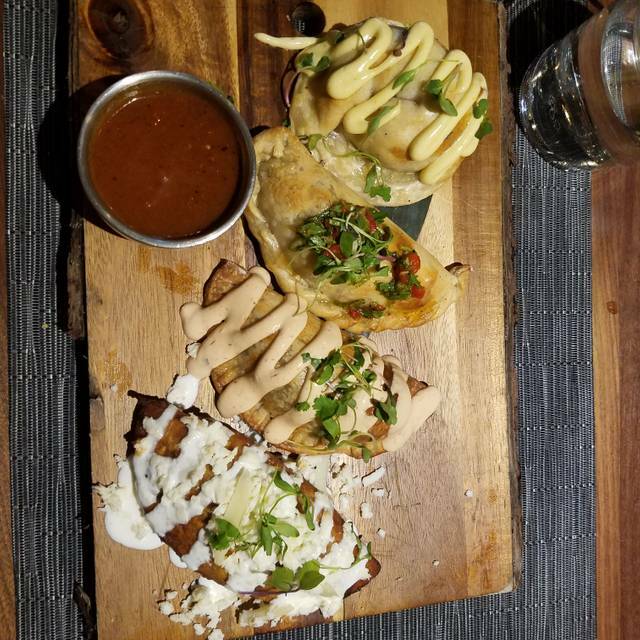 Everything we ordered was exceptional, with the exception of a couple of empanadas. We are eager to go back and try more things. My overall thought was the food was a little bland the guacamole was not seasoned well but tolerable. The short rib tamale was a bit tough. The chicken empanda was a unique flavor. However the empanadas were very tasty(tiger shrimp). The drinks were also fantastic. The food was average and the portions were very small for the price. Downtown feel in NW Indiana. Great food and cocktails. Attentive wait staff. A little on the noisy side, but overall excellent experience. Took my wife here for the second time, the first time was opening week of the restaurant. We both agreed they are much improved overall in both service and food preparation, flavor, presentation, etc. Great atmosphere, but the space is a little small. It’s a bit pricey, $40/strip steak, $78 for a tomahawk that’s shareable, but definitely a nice place to have dinner on occasion. Ambiance, cocktails and menus are always amazing. Can’t believe this gem is in NW Indiana, as it feels like you’re in Lincoln Park. I’ve been there for dinner, cocktails and brunch and loved it every time. Can’t wait to check out their patio space when the weather warms up. The salsa (pick) was fantastic as were the smoked oysters. The steak tacos and pork wings were also great. The only negative worth mentioning would be the music. Not sure why some restaurants like to jack up the music to the point where you can’t hear what people are saying to you. You don’t go to a restaurant to listen to music. Other than that, it was a good experience. We dined in for Valentine’s Day and went with the pre-fixed menu. I started with Guacamole then had tortilla soup and the one pot chicken. To be expected everything was delectable! I had the tres leches for desert it was amazing!! My husband had the fundido, salad and fillet. To top it off he added on the 25oz lobster! I went there expecting to like it. I was blown away. This place is almost out of place where it is located, it is so good. It is a dining experience. You cannot get these drinks anywhere else, and they're paired beautifully to match entree ingredients. There are very few restaurants in the area offering this caliber of a fine dining experience. I highly recommend it for anyone looking for more than the local usual in Latin-based cooking. It was wonderful. Absolutely outstanding dinner tonight. Lucked into getting seated at the chef’s counter where we got to see every dish prepped and served. Everything we tasted was perfect, and we saw half a dozen more dishes to try next time we come in. 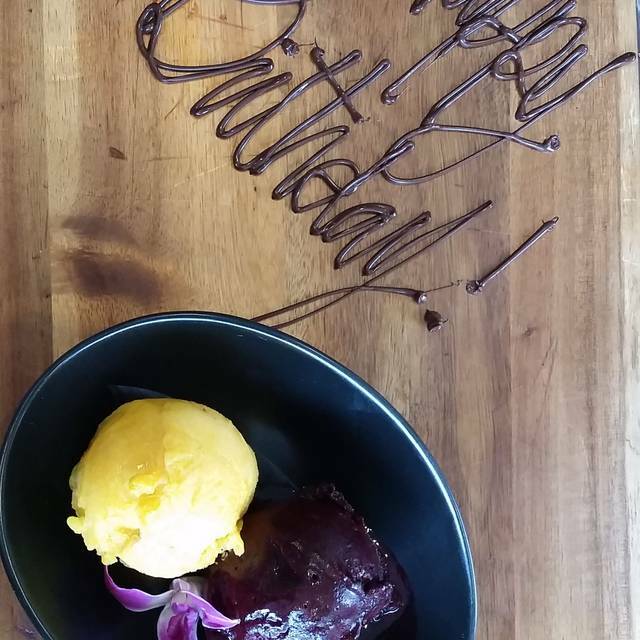 Chef Chris and his team are amazing! Our server Melissa was so welcoming and helpful. She made our dinner even better. The food is so good and reminds me of my Latin heritage. Will come back soon. The food was excellent! Server needed to slow her roll a little...let us relax and enjoy the ambiance...would definitely go back! I had read the reviews prior to making my reservation because most seemed quite favorable. However, I did experience some of the same issues or have the same concerns as others who gave lower ratings. Service was good but not great. It was a slow night so you would think they would be Johny on the Spot. Not necessarily. However, our server was very knowledgeable regarding all things on the menu. She knew ingredients, prep, overall portion size, and made good recommendations. I would suggest wearing a light jacket/sweater as it is quite chilly inside the restaurant as other reviewers stated too. The decor is nice and lighting is good. However, we chose to sit in the bar area and there seems to be so much wasted empty wall space where you could hang a striking picture or mirrors (or my husband said a TV). Such a nice bar area that could be better utilized. The food was fair, drinks were very good and unique. I ordered the Carnitas after reading reviews and wish I would have taken a picture of what was left on my plate for this review. More than 50% of the pork was fat. I'm not a fat person so it kind of turned me off. 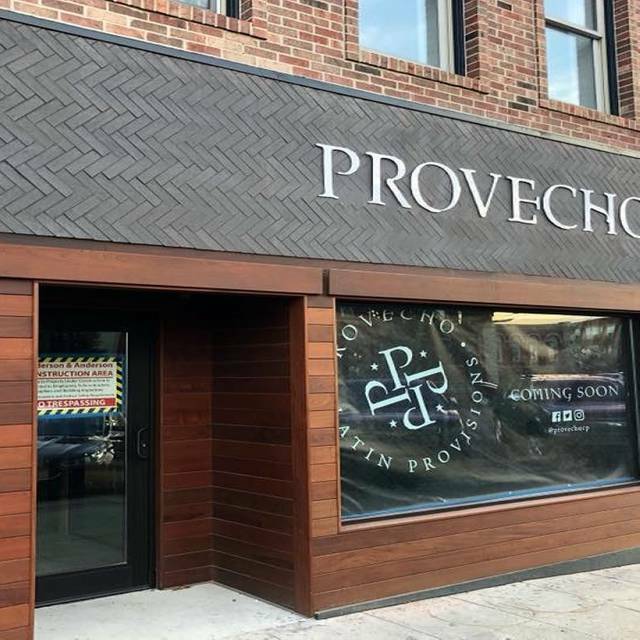 I would still recommend Provecho for the overall experience, but not sure I'll be back any time soon. We love Provecho. Came to celebrate and decided to splurge on the Tomahawk steak. No regrets!! It’s was cooked perfectly and was so delicious. The steak was served over poblano grits that I can’t get off my mind. The tamales never disappoint and the cocktails were amazing, as always. We’re already planning our next visit!! 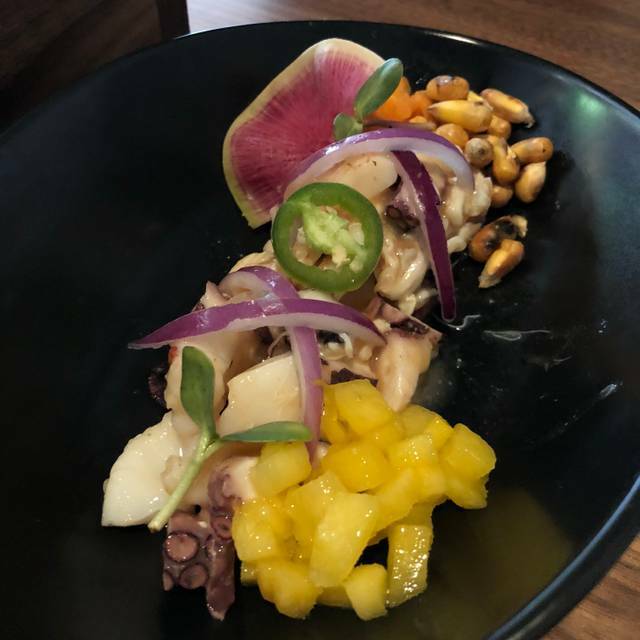 This is a lovely addition to NWI— delicious, authentic food from a variety of Latin traditions. The cocktails are not to be missed, either- and definitely save room for dessert. The chocolate tres leches cake is a treat. Am already planning my next visit! This restaurant is absolutely the best restaurant in Northwest Indiana. The food and drinks are amazing! We joined their new wine club. It sounds like a wonderful opportunity! Food and service top notch! If you love Latin with a twist, this is your place. Unique craft cocktails and beer list too. The place is great and the food is incredible. What I did notice is that the wait staff while very friendly did seem to linger around the corners of the room congregating with each other and looking at phones. 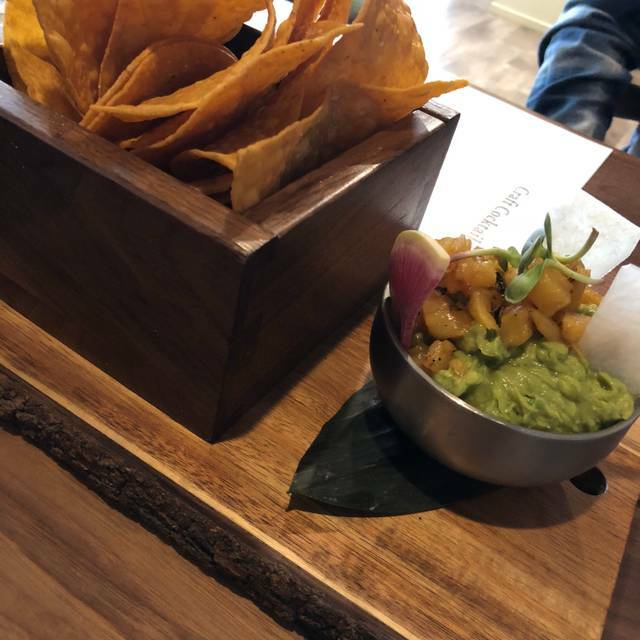 The service wasn’t bad but a little annoying waiting 10 minutes for a drink and 6 minutes for salsa. If it was super busy I would completely understand but at the time the place was only half full. Overall I’d recommend this place again and plan on visiting again.